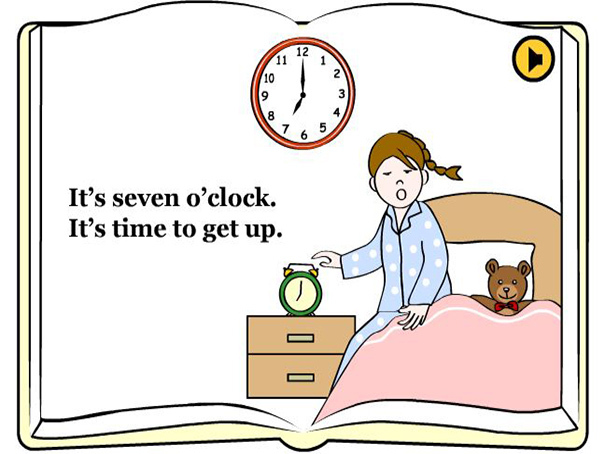 This audio book tells you about a girl's daily routine. Listen to the time and see what action she does. How many things do you do during your day?